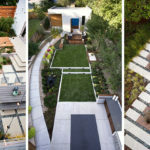 When designing your backyard, no matter how large or small, it’s important to have clearly defined areas, and one way you can create this, is by using height or different levels. 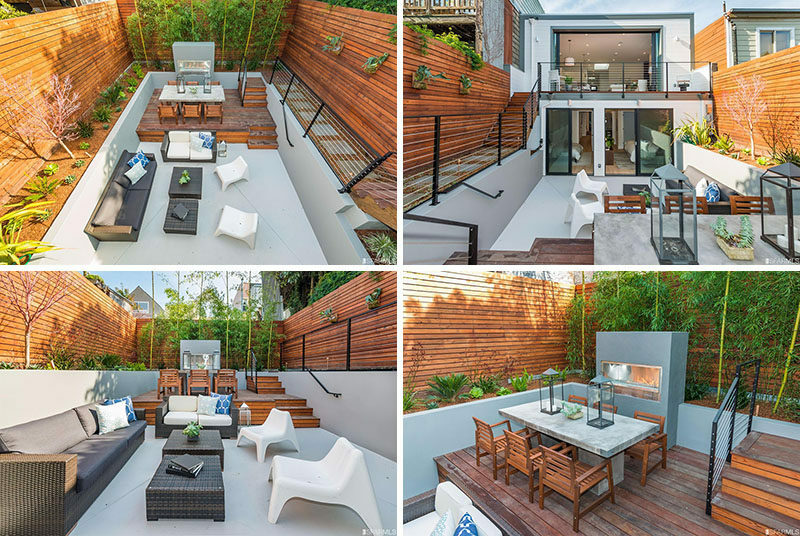 In this small backyard behind a house that’s for sale in San Francisco, the multi-level backyard can be accessed from two areas, the living room on the upper floor of the home, and the bedrooms on the lower floor. 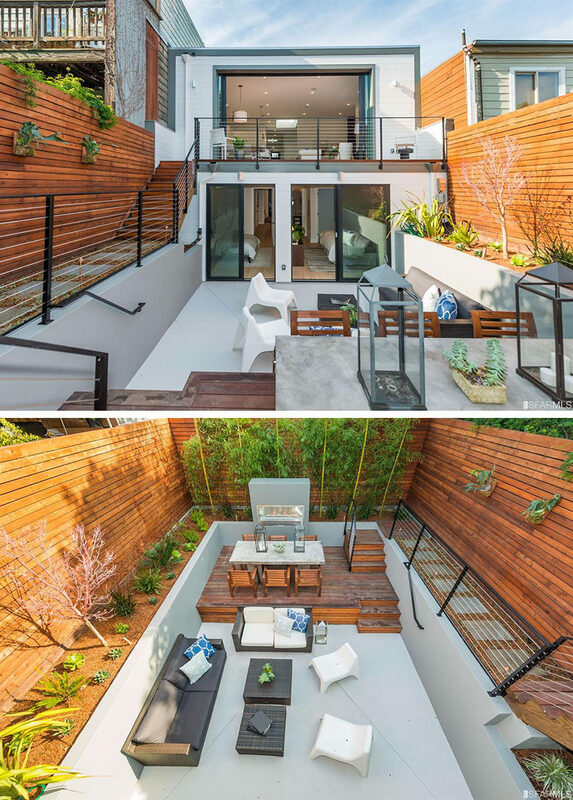 The living room has a small balcony that provides access to stairs and a stepping stone path that runs the length of the backyard, alongside a wood covered wall with hanging plants. 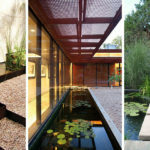 At the back of the yard, there are tall trees that will grow to provide shade and privacy to the space. At the end of the stairs, you step down to the dining area with a fireplace, that’s slightly raised from the outdoor lounge, allowing the dining area to be clearly defined. 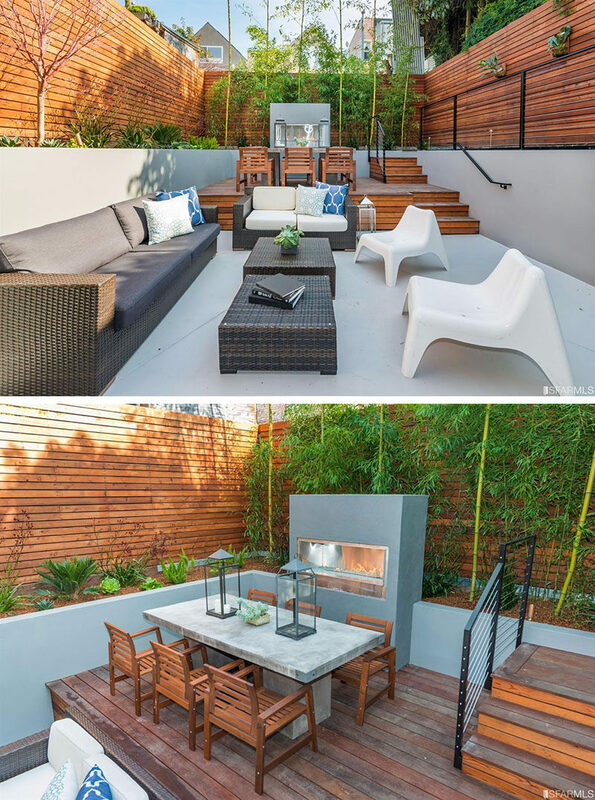 The lounge area, that’s located just off the bedrooms, almost feels sunken down from the rest of the backyard, adding to the privacy and creating a sense of coziness, especially since it’s been furnished with comfortable seating. To see more photos of this home, you can view their listing with Vanguard Properties – here.